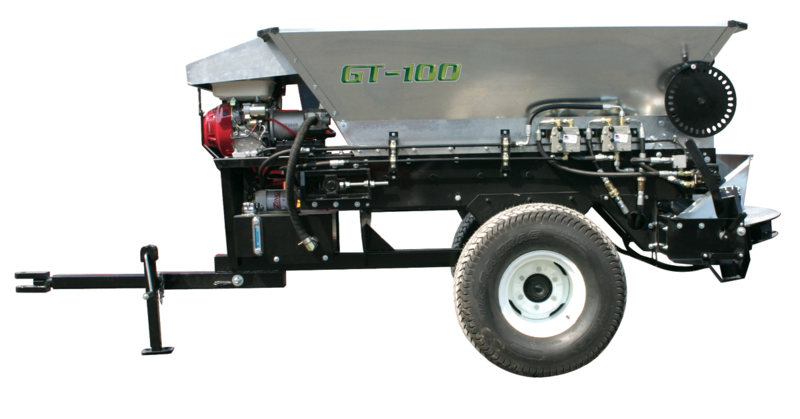 In addition to the GT-100, Pequea Turf offers the GT-100UVM™ that can be mounted on today's premium utility vehicles. The unique quick mount system allows for easy vehicle installation and removal. Features include a fully adjustable conveyor, gate, and spinners for optimal spread width and depth. In addition, the optional TURFtronic™ controls provide in-vehicle adjustments to the pattern for a more efficient and greater controlled delivery of spread material.